The Atacama desert of northern Chile, site of the Joint ALMA Observatory (Credit: John Stoke NRAO/AUI). 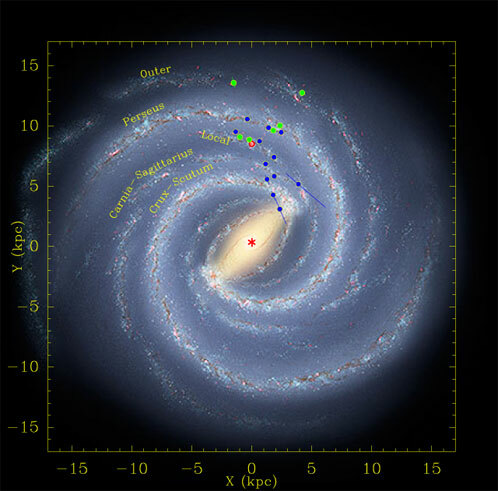 An image of the Milky Way, taken by an observer in another galaxy, would probably reveal a spiral structure dotted with many bright HII regions, and an "educated guess" is that the Milky Way is a barred Sb to Sc galaxy. However, revealing the nature of this structure has proved elusive for decades. Indeed, we do not really know the number of spiral arms or how tightly wound is their pattern. The primary reason for the difficulty is the lack of accurate distance measurements throughout the Galaxy. We are now measuring trigonometric parallaxes and proper motions of sources of maser emission associated with high-mass star forming regions, using the Very Long Baseline Array (VLBA) and the Japanese VERA project. The long term goal is to accurately locate most high-mass star forming regions and construct a map or plan view of the Milky Way. The great advantage of trigonometric parallaxes is that one determines distances directly and geometrically, with no assumptions about luminosity, extinction, metallicity, crowding, etc. Early results from 18 sources locate several spiral arms as shown in Fig. 1. For the Perseus arm we are able to directly measure the spiral pitch angle of 16°, which, if constant throughout this arm and similar to other arms, favors four loosely wound over two tightly wound arms for the Galaxy. The parallax measurements also yield very accurate proper motions. Combining all of the observational data yields the full 3-dimensional locations and velocity vectors of the sources. By modeling the Milky Way as a smoothly rotating disk, we find that stars that form in large groups on average are orbiting the Galaxy ≈ 15 km s-1 slower than expected for circular orbits. We estimate the distance to the Galactic center is R0 = 8.4 ± 0.6 kpc. Our data indicate that the rotation speed of the Milky Way at the radius of the Sun is Θ0 = 254 ± 16 km s-1. We also find that the rotation curve of the Milky Way is nearly flat or slightly rising with distance from the Galactic center. Our rotation speed for the Milky Way is approximately 15% greater than the IAU recommended value of 220 km s-1. The implications for increasing the rotation speed of the Milky Way are profound. It reduces kinematic distances by ≈ 15%, which can affect estimates of sizes (by 15%), luminosities (by 30%), and masses (by up to 50%). Interestingly, the rotational properties of the Milky Way are nearly identical to those of the Andromeda galaxy (M31) as shown in Fig. 2. The most straightforward interpretation of the similarities of the rotation curves for the Milky Way and Andromeda is that these two galaxies, which dominate the Local Group, are nearly equal in size and mass. Thus, the MilkyWay should probably not be considered the little sister of the Andromeda galaxy; the two galaxies are more like fraternal twins. Figure 1: Locations of high-mass star forming regions for which trigonometric parallaxes have been measured. Parallaxes from 12 GHz methanol masers are indicated with dark blue dots and those from H2O and SiO masers or continuum emission (Orion) are indicated with light green dots. Distance error bars are indicated, but most are smaller than the dots. The Galactic center (red asterisk) is at (0,0) and the Sun (red Sun symbol) at (0,8.5). The background is an artist’s conception of Milky Way (R. Hurt: NASA/JPL-Caltech/SSC) viewed from the NGP from which the Galaxy rotates clockwise. The artist’s image has been scaled to place the HMSFRs in the spiral arms. Figure 2: Rotation speed versus radius for the Andromeda galaxy and the Milky Way. The red squares are based on HI observations of Andromeda tabulated by Carignan et al. (2006, ApJ, 641, L109). The blue filled circle is our best estimate of Θ0 = 254 ± 16 km s-1 at R0 = 8.4 kpc for the Milky Way, derived from the parallax and proper motions of high mass star forming regions. The blue dot-dashed line is for a flat rotation curve, and the blue dashed line corresponds to a slightly rising rotation curve of 2.3 km s−1 kpc−1. These lines are plotted over the range of Galactocentric radii sampled by the parallax and proper motion results. Note that these two galaxies have nearly identical rotation speeds over this range. The National Radio Astronomy Observatory (NRAO) is offering an exceptional collaboration opportunity for students and young researchers pursuing interests relating to millimeter wave astronomy research and development. As part of its mentoring and outreach activities in support of international programs, the NRAO has proposed to the National Science Foundation that the NRAO send a contingent of approximately 14 students and young researchers to attend the “Millimeter and Submillimeter Astronomy at High Angular Resolution” conference. The meeting aims to cover a range of scientific and technical topics related to millimeter-wave astronomy, with an eye towards key science to be done with ALMA. This international workshop is being hosted by the Academia Sinica Institute of Astronomy & Astrophysics, National Astronomy Observatory of Japan, National Radio Astronomy Observatory, and the Harvard-Smithsonian Center for Astrophysics. Co-hosting is being provided by the Astronomical Society of the Republic of China. With such a wide level of support, this 5-day conference promises to draw some of the top researchers to participate in over 40 invited talks. Below are what we anticipate will be the most frequently asked questions regarding this opportunity. What is the website for conference information? What is the location of the conference? Students and early career researchers with an interest in the fields of (sub)millimeter and radio astronomical research and instrumentation development. Funding is intended to cover registration fees, round trip airfare from home institution, lodging at the conference, per diem, and direct costs related to traveling to and attending the conference. Will I need to make travel and conference arrangements? No, the NRAO staff will make the necessary airline and lodging reservations on your behalf. You can apply by sending a statement of interest via email to jneighbo@nrao.edu. Contact Jennifer Neighbours at jneighbo@nrao.edu. The newly-formed Center for Chemistry of the Universe (CCU), headquartered in the Department of Chemistry at the University of Virginia along with NRAO and the North American ALMA Science Center (NAASC) of Charlottesville, VA is holding a workshop at the NRAO Green Bank, WV site entitled: "Advancing Chemical Understanding through Astronomical Observations." The topics of the workshop will be the use of astronomical instruments, in particular the GBT, to study chemical processes in astronomical environments. Thus, its focus will not be on molecules as tracers of physical conditions, but rather the inverse: using molecular observations to provide information on chemical bonding and formation in environments not easily replicated on Earth. The meeting will take place May 27-29, 2009 with arrival and an opening reception on May 26. Limited travel funds are available upon request especially for graduate students and postdocs who are strongly encouraged to attend and participate in a poster session highlighting their research interests. In the last two decades, the availability of large ground-based and space-based facilities, and improved theoretical modeling, have led to significant advances in our understanding of star formation, the gas cycle in galaxies, and galaxy assembly and evolution over cosmic time. With the next generation of long-wavelength ground- and space-based facilities set to become fully operational in the first half of the coming decade, the time is ripe to review the theoretical and observational progress that has been made in the areas of extragalactic star formation, interstellar gas properties and galaxy assembly, and to assess where science with facilities such as ALMA, EVLA, Herschel Space Telescope, and the JWST are likely to contribute transformational understanding in these areas. Figure 1: By mid-February, the newly accepted Vertex antenna had been outfitted with ALMA systems. 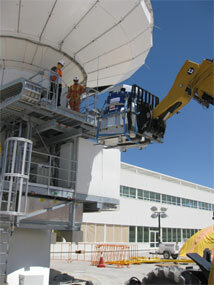 In this photo, a Front End system is being loaded into the antenna receiver cabin. Within weeks of the first Vertex antenna’s acceptance, it was outfitted with standard Atacama Large Millimeter/submillimeter Array (ALMA) backend from NRAO-Socorro, the engineering model front end from the East Asian Front End Integration Center, and elements of the water vapor radiometer and calibration device from Europe. The surface setting was verified by holography and reset for the appropriate elevation angle. During March, major components of the AEM antenna, contracted by ESO, will arrive at that contractor’s area at the ALMA Operations Support Facility in northern Chile. This arrival will bring the antenna count at the ALMA site to 14. At the Array Operations Site (AOS) antenna foundation construction continues. The Joint ALMA Office in Santiago has issued a Newsletter. Figure 2: Construction continues on the foundations for the Atacama Compact Array. The foundations for the 7m antennas, shown here, allow the antennas to be spaced 8.75m apart. Antennas continue to be converted to the Expanded Very Large Array (EVLA) design. A total of 20 antennas are now used for scientific observations. EVLA antennas accounted for 71.4% of all antenna hours used in scientific observations in February 2009. The mechanical overhaul of the 21st antenna is well underway. Test observations with a prototype WIDAR correlator were made in the last quarter of 2008 in support of a production review of the correlator’s major circuit boards. Since then, a subset of the final WIDAR correlator (called WIDAR-0) has been populated with a limited number of circuit boards. The first on-the-sky fringe visibilities with WIDAR-0 were recorded on March 6, 2009. A plan for the transition from the VLA correlator to the WIDAR correlator has been developed in support of the announcement for early science opportunities with the EVLA (see the February 2009 NRAO eNews article). The transition will occur in the first quarter of 2010. 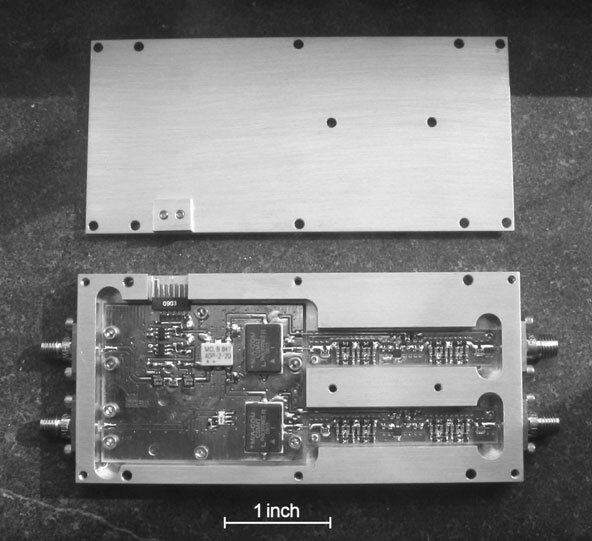 Two WIDAR configurations will be supported for general use, suitable for continuum and spectral line applications, with bandwidth and frequency resolution better than those obtainable with the VLA correlator. The number of antennas that can be used with WIDAR is set by the number of station boards. The station board provides delay tracking and digital filtering of the signals from the antennas. Since 25 EVLA antennas are expected to be available by January 2010, the correlator transition plan places a priority on station board delivery. A problem with the power supplies on the WIDAR station boards was discovered in late 2008. The problem has been resolved, and the production order for the station boards was placed on January 23, 2009. The order represents a significant achievement for our Canadian colleagues at the National Research Council. The delivery of the boards is consistent with the correlator transition plan described above. The WIDAR’s baseline boards contain the correlator chips where the correlations are computed and ultimately dictate the bandwidth that WIDAR can process. Testing of the baseline boards continues, and their production order will be placed in the next few months. All of the baseline boards are scheduled for delivery in advance of the time they are needed per the correlator transition plan. A total of six, fully EVLA-compliant C-band (4-8 GHz) receivers are now installed in the array. The production order for the receiver’s wideband orthomode transducer (OMT) was received in February 2009. The interim C-band receivers installed in EVLA antennas are basically EVLA receivers that use VLA-style OMTs. The process of converting these to fully EVLA-compliant receivers is a matter of replacing the VLA-style OMT with the EVLA OMT. We expect the OMT replacement process to proceed quickly, giving as many as 17 antennas with EVLA-compliant C-band receivers by the end of 2009. Eight new Ka-band (26-40 GHz) receivers have been installed in the array. These receivers provide a completely new scientific capability for the (E)VLA. A call for Ka-band proposals for the C-configuration was issued January 15, 2009 (see News for VLA/VLBA/HSA Proposers, January 15, 2009), along with a call for exploratory proposals for the current B-configuration. The EVLA’s new Observation Preparation Tool (OPT) must be used to configure Ka-band observations since current VLA-specific software (i.e. observe and Jobserve) cannot accommodate the new band. 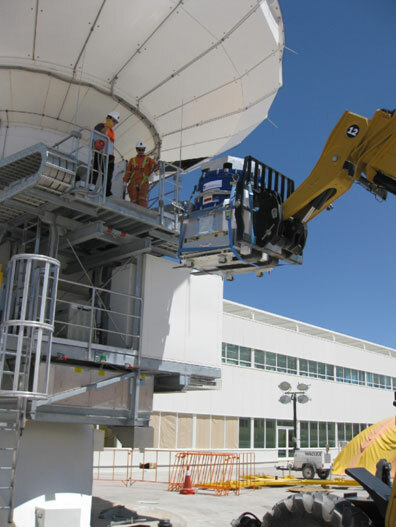 The first, fully EVLA-compliant S-band (2-4 GHz) receiver was installed in an EVLA antenna in January 2009. Preliminary observations and laboratory tests indicate that the receiver is performing to specification. The production order for the S-band OMT was placed. As with Ka-band, the S-band receiver provides a completely new scientific capability for the (E)VLA. S-band observations with a limited number of antennas may be possible in late 2009, assuming production proceeds on schedule. Excellent progress continues to be made with the fabrication of the feed horns for the EVLA receivers. The fabrication of the horns for the L, C, and Ka-band receivers has been completed. By late February 2009, 13 S-band horns have been assembled, well in advance of receiver production. The production order for the Ku-band horns was placed. The X-band horns have been designed and prototyped, and the production order will be placed in early FY2010. Although the production quantities of the 3-bit, 4 Gsps digitizer chips were delivered to the NRAO in September 2008, the production of the sampler modules that contain the digitizers has been delayed due to a clocking problem encountered with a serial-to-parallel converter on the sampler board. The layout of the board has been revised, and testing of revised board is underway. If testing goes well, the production of the sampler modules could resume as soon as June 2009. A science workshop on “The EVLA Vision: Galaxies through Cosmic Time” was held in Socorro on December 16-18, 2008, and 96 scientists from around the world participated. The workshop included numerous science talks on galaxy evolution and cosmology in addition to presentations on EVLA project status. The science workshop was followed by a meeting of the Science Advisory Group for the EVLA (SAGE) on December 19-20. The SAGE was asked to make recommendations on the development of capabilities to be delivered to the community, possible topics for a 2009 science workshop, and a process to involve the community in proposing early science experiments for the EVLA. The SAGE was also asked to comment on a proposed program for resident shared-risk observing (RSRO). The prioritized growth path recommended by SAGE is to implement the EVLA’s wide bandwidth capability, improve spectral resolution using correlator recirculation, and enable high frequency operation of the instrument. The SAGE deemed that special correlator modes, such as phased array operation, pulsar capabilities, and burst mode, were of lower priority. The SAGE recommended that stars should be the topic of the next EVLA science workshop, which will be held on May 26-28 in Socorro. The SAGE endorsed the RSRO program and recommended a variety of methods for aggressively advertizing the EVLA’s capabilities. The National Radio Astronomy Observatory (NRAO) Jansky Fellowship program provides outstanding opportunities for research in astronomy. Jansky Fellows formulate and carry out investigations either independently or in collaboration with others within the wide framework of interests of the Observatory. The program is open each fall to candidates with interest in radio astronomy instrumentation, computation, and theory, and prior radio experience is not required. Multi-wavelength projects leading to a synergy with NRAO instruments are encouraged. We are pleased to announce that three new Jansky Fellows will be joining NRAO in the fall of 2009 and spring of 2010. Two of the Jansky Fellows will be at NRAO sites, Charlottesville and Socorro, and the third will be hosted at the University of Arizona in Tucson. 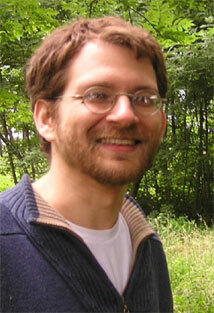 In addition, Adam Leroy will be joining us in Charlottesville as a Hubble Fellow. Hubertus Intema, currently a Ph.D. student at Leiden Observatory in the Netherlands, will be arriving as a Jansky Fellow at the NRAO in Charlottesville, Virginia this fall. Huib expects to earn his Ph.D. in Astronomy from Leiden Observatory in June of this year. He now holds a B.Sc. and M.Sc. in Astronomy from Leiden University, and a B.Sc. in Electronics from Hogeschool Utrecht. Huib plans to conduct research and develop data reduction techniques and to study the steep spectrum radio sources that lie in clusters of galaxies. 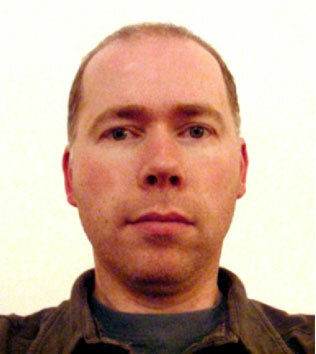 His research interests include diffuse radio emission from galaxy clusters, high-redshift radio galaxies, low frequency radio interferometry, calibration and imaging techniques, and algorithm development. Nirupam Roy will be joining us at the NRAO in Socorro, New Mexico in fall 2009. Nirupam is currently working as a research scholar at National Centre for Radio Astrophysics-Tata Institute of Fundamental Research, in Pune, India. 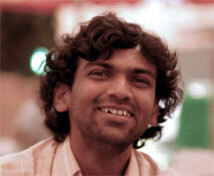 He expects to receive his Ph.D. in Physics from the Tata Institute of Fundamental Research in July of this year. Nirupam also holds a M.Sc. in Physics and a B.E. in Mechanical Engineering from the Bengal Engineering College. Nirupam’s research will study the properties of the interstellar medium (ISM) including magnetic fields in dense molecular clouds, the temperature of the warm neutral medium, and magnetohydrodynamic turbulence in supernova remnants. His research interests also include H I spectroscopy and polarization, radio astronomy techniques, and interstellar medium turbulence. 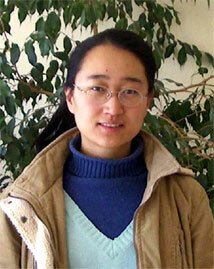 Ran Wang, from Peking University, will be hosted by the University of Arizona as a Jansky Fellow beginning spring 2010. Ran worked at the NRAO in Socorro, New Mexico under the direction of Chris Carilli as a pre-doctoral student from 2006 to 2008. She expects to receive her Ph.D. in Astrophysics from Peking University by July 2009. Ran also holds a Bachelor’s degree in Astrophysics from Peking University. While she is a Jansky Fellowship at the University of Arizona, Ran will work on a series of observational programs to map the dust, gas, and stellar components in the z ~ 6 quasar-host systems at (sub)millimeter, radio, and infrared wavelengths. Her ultimate goal is to fully understand the evolutionary properties of the first quasars. Adam Leroy has been awarded a Hubble Fellowship that he will bring to the NRAO in Charlottesville, Virginia. Adam is currently a postdoctoral scholar at the Max Planck Institute for Astronomy working on projects related to the NRAO large program THINGS (The HI Nearby Galaxy Survey) and conducting extensive millimeter-wave observations with the IRAM 30m telescope. Adam holds a M.A. and Ph.D. in Astrophysics from the University of California at Berkeley as well as a B.A. in Astronomy and Astrophysics and Physics from Harvard University. Adam will work on his research proposal entitled, “What Drives the Conversion of Gas to Stars in Galaxies?” Carol Lonsdale, Assistant Director for the North American ALMA Science Center (NAASC), will serve as his Faculty Contact at the NRAO. With this connection to the NAASC, he will have access to professionals who can collaborate with him in combining millimeter and space telescope IR data to study galaxy evolution. The next generation of radio telescopes will need many more receivers than are used on current instruments, either to increase the field of view with focal-plane arrays of feeds or to increase collecting area with many more antennas. This requires that new receiver systems must be less expensive, smaller, and lighter, and consume less power without sacrificing the noise performance of the best current receivers. The core function of a radio astronomy receiver intended for spectroscopy is to convert the very high frequency astronomical signal to a low frequency where it can be sampled and processed in a digital signal processor, such as a correlator. This has typically involved several frequency conversion (mixer) and filter stages to suppress receiver responses at unwanted frequencies. Each mixer has two responses: upper and lower sideband. The filters suppress the unwanted sideband that would otherwise overlap and be confused with the desired sideband. The idea of using just one conversion stage and canceling the unwanted sideband with analog phase shifters, usually quadrature hybrids, has been around for a long time. Sideband-separating SIS mixers are used extensively in ALMA receivers where 10 dB sideband rejection is sufficient to minimize receiver noise. The stumbling block for use at lower frequencies has been that analog phase shifters cannot be made accurate or stable enough for adequate cancellation of radio frequency interference (RFI) from the unwanted sideband. The advent of small, high-speed digital signal processing devices gives new life to this old idea. Digital phase shifters are rock stable and can be easily calibrated to compensate for errors in the few necessary analog components. To test the achievable performance of a single downconversion, sideband-separating receiver using digital signal recombination, we built a system tunable from 5 to 9 GHz with inexpensive components and numerous connectors and cables. The intermediate-frequency (IF) bandwidth was limited to ±27 MHz by the sampling rate of the available 14-bit digitizer. The prototype receiver achieved sideband-suppression in excess of 50 dB over that entire range; a typical all-analog equivalent circuit produces 15 to 25 dB of sideband rejection depending on tuning range. No special amplitude or phase matching was required in the analog hardware. It only needs to be stable. Digital phase-shifter coefficients were determined for local oscillator (LO) settings over the full 5-9 GHz range, and we found that the calibration vectors can be factored to avoid the need for the full two-dimensional (IF and LO) measurement matrix. Quantization errors were shown not to degrade sensitivity or sideband suppression as long as the rms noise voltage is at least 5 analog-to-digital sample levels. Figure 1: The L-band sideband-separating mixer. The housing measures 4.25 x 2.0 x 0.5 in. A follow-up version was constructed (Figure 1) using a more integrated approach to better evaluate the calibration stability over longer time periods, to test its performance in a demanding RFI environment, and to demonstrate the technique over a wider IF bandwidth using faster dual digitizers. It was designed for the Green Bank Telescope (GBT) L-band receiver (1200-1700 MHz) using a single fixed LO at 1450 MHz and 250 MHz bandwidth in each sideband. Both sidebands are available simultaneously. The new mixer uses physical channelization of component layout to avoid coupling between stages and a new filter designed for better impedance match at all frequencies. Commercial surface-mount components are used throughout. The minimum size of the box containing the components is close to being limited by the size of the mounting flanges of the SMA connectors. The results from tests of the latest mixer are excellent. Sideband separation is at least 60 dB over the entire 500 MHz band, and this degrades to no worse than 50 dB when the temperature of the box is raised 12°C above the calibration temperature. This is a much bigger change than is expected in practice. The next step is to attach the mixer to the output of the GBT L-band receiver to see how it fares in the real world of RFI. The next R&D stage in the lab is to incorporate the A/D converters into the mixer chassis to assure that the switching noise from the digital circuits can be adequately shielded from the analog components. Then an optical fiber transmitter will be added to complete the goal of a small receiver package with an RF input connector and an optical fiber output connector that carries digital samples that can produce two well separated sidebands. For more details on the digital processing mathematics and a description of the first prototype see NRAO Electronics Division Internal Report #320. Figure 2: Spectra of two sidebands above and below the LO frequency of 1450 MHz with a strong test signal at 1600 MHz showing that this signal is completely suppressed in the opposite sideband. The NRAO End-to-End Operations team has produced a new Web service that makes astronomical image archives easily accessible by the public through use of the Google Sky desktop application. The new service, called KML Now!, takes advantage of Virtual Observatory protocols to give users easy access to astronomical data in over 150 image archives covering the full electromagnetic spectrum, including seven NRAO image collections. KML Now allows image data to be automatically opened and displayed in Google Sky, using Google’s Keyhole Markup Language (KML) data format. With KML Now, users can search for astronomy images by entering search coordinates and selecting one or more Virtual Observatory image archives. KML Now returns a KML file that the user can open in Google Sky. For successful queries, this file tells Google Sky where to find the desired images and how to project the images on the digital sky. Astronomy image data formats can be difficult to use for non-professionals, but KML Now performs the image format conversion “behind the scenes”, making the process of acquiring and viewing images very easy. More detailed information about KML Now can be found on its home page. 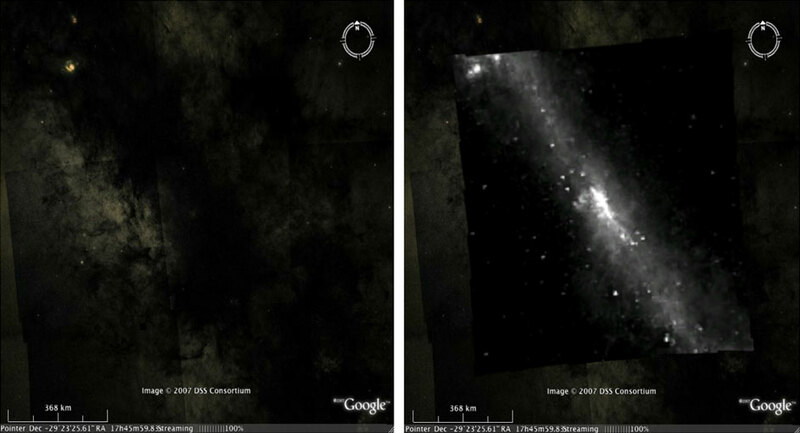 Figure 1: Side-by-side comparison of the Milky Way's center, showing (left) Google Sky's default optical imagery (obtained from the Sloan Digital Sky Survey) and (right) a KML Now-imported overlay of an Infrared Astronomical Satellite image. Figure 2: The Kepler supernova remnant as seen (left) with Google Sky's default imagery from the Hubble Space Telescope and Sloan Digital Sky Survey; and (right) overlaid with an image from the NRAO VLA Archive Survey. ALMA Science Operations Astronomers: ALMA is seeking ALMA Science Operations astronomers who will work as Astronomer on Duty (AoD) at the ALMA Operations Support Facility (OSF), and spend part of their time at the ALMA Regional Centers (ARCs) as well as in the ALMA offices in Santiago for research and data quality control. Assistant Scientist: The Scientific Services Division is seeking an energetic person to join the scientific staff in Green Bank, West Virginia to support observers who come to the telescope as well as work on a diverse variety of projects. This may include the development and commissioning of new instrumentation on the telescope, working with the engineering staff to improve the overall telescope performance, and aiding with the data reduction pipelines needed for the GBT. Head of the Joint ALMA Observatory Archive Operations Group: ALMA is seeking a Data Manager for the Joint ALMA Observatory (JAO) to lead the Archive Group and be responsible for the set-up and maintenance of the services of the JAO archives as well as for pipeline operations and data quality assurance. The Data Manager will supervise the activities of the archive operations, database contents management and pipeline operations. Systems Astronomers - Joint ALMA Observatory: ALMA is seeking ALMA system astronomers who will be the experts on the performance of ALMA, and will provide advice and assistance to ALMA operations working closely with the system engineers in the Department of Technical Services. ALMA Commissioning Scientists: The Joint ALMA Office invites applications for the position of Commissioning Scientists to be based in Santiago, Chile. These are international staff positions in the ALMA Project, the world's most sensitive mm/submm interferometer, which is currently under construction in northern Chile. The role of ALMA Commissioning Scientists is to assist the Project Scientist and Deputy Project Scientist in planning and executing the scientific commissioning of ALMA. Assistant Scientist: The National Radio Astronomy Observatory is beginning a program to develop focal plane arrays for the Green Bank Telescope, beginning with a 3mm array. We are looking for an energetic individual to provide scientific leadership for the focal plane array development program, particularly for the GBT’s high frequency range. CASA Group Supervisor: The CASA Computing Division of the National Radio Astronomy Observatory is seeking a group supervisor to lead the CASA (Common Astronomy Software Applications) software group. The person filling this position will be directly involved in high-level design decisions for CASA, and will participate actively in the implementation of the resultant designs. Cooperative Education Appointment (Engineering): The NRAO Green Bank Electronics Division seeks a cooperative education student to work with our engineers to develop control systems and instrumentation for the telescope. Examples of projects underway include the Precision Telescope Control System, a project to enable the telescope to work at very high frequencies, as well as the CICADA project, a project using reconfigurable computing hardware to perform complex digital signal processing algorithms on telescope signals. Depending on the project selected, the student will gain experience in the fields of digital signal processing, reconfigurable computing, digital control systems, or other topics in electrical or computer engineering. Joint ALMA Observatory Antenna Group Manager: The Joint ALMA Observatory (JAO) is seeking a senior engineer to become the Manager of the ALMA Antenna Group. He/she will lead a group of 40 people and be responsible for all activities associated with the reliable and effective operation of all antennas in the array.The successful candidate will be responsible for the day-to-day operation and maintenance of all antennas and associated equipment (e.g. optical pointing telescopes, nutators), developing the required maintenance schedules and programs and, thereafter, monitoring their execution. Software Engineer: The ALMA Backend IPT is seeking a Software Engineer to write, debug and maintain test and measurement graphical user interfaces (GUIs). In addition, the engineer will provide data analysis, organization, and presentation as well as preparation of test reports. Software Engineer (KFPA): The K-band Focal Plane Array Project at the Robert C. Byrd Green Bank Telescope (GBT) is seeking a Software Engineer to develop monitor and control software. The seven beam array under development will improve mapping speed and map calibration for extended molecular regions. Upon completion and commissioning of the seven beam array, work will commence on a larger array and complementary hardware infrastructure. Software Engineer II: EVLA Computing is seeking a Software Engineer to assist in the design and development of distributed, real-time, monitor, control, and data processing software. The EVLA is an enhancement of the Very Large Array (VLA), a radio telescope located 50 miles west of Socorro, NM. This position includes, but is not limited to, responsibility for the telescope calibration (TelCal) software - an application that will capture and process data output from the EVLA WIDAR correlator backend, and then distribute the processing results to the rest of the software system.